What happens when a four-year-old is granted her wish to learn music? Starting with a violin made especially for Michaela and ending with her first concert, Michaela's Music House traces the adventures, initial steps, growing confidence and joyous successes of a young child experiencing the magic and thrill of violin-playing for the first time. Along her journey she will have playmates such as monkeys, cats and fairies and, just as any four-year old's schedule should include, activities such as driving a race-car, flying an aeroplane, juggling and playing baseball. As Michaela plays games, listens to stories and becomes the heroine of her own narrative, the myriad characters and scenarios that she encounters will help her to meet challenges and jump hurdles along the way. This book is written for (and inspired by) curious children who have a huge imagination and expect brilliant results for their efforts yet have very little patience and are easily bored. This book is also written for parents whose objective is to give their children the key to exploring the amazing world of music-making. And, most certainly, this book is written to support the teacher who guides both. 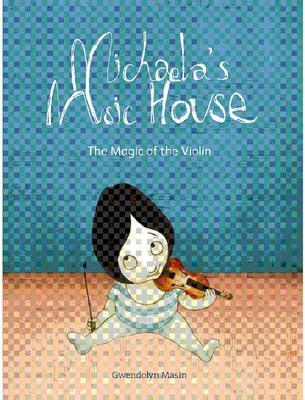 What do you want to know about Michaela's Music House - The Magic of the Violin?